Everything is migrating to the cloud, and if the federal government has its way, that’ll soon apply to “Beware of Dog” signs and your neighbor’s hamster-eating cat. Today, the government has announced the Personality and Emotion Transponder System (PETS), intended to bolster public safety by offering audible warnings when a dangerous pet approaches. PETS is a tracking system, mandated for all domesticated non-livestock animals, including service animals and emotional support animals. Under a bill that will be effective on April 1, 2019, any animal that fits this definition must be fitted with a transponder that collects behavioral data in real time. PETS streams this data from transponder to transponder, using advanced machine learning to determine animal behavior over time. PETS data is kept and analyzed strictly for informational purposes — except for videos of cats, which will be freely distributed on YouTube. Ad revenue from these videos will fund PETS; it has already earned enough revenue from this stream to pay for itself for several years, effectively neutering congressional threats to defund the program. What Is The Policy Goal Of PETS? Long-term, PETS is dedicated to public safety. In addition to the transponder network from pet to pet, it will also network with V2X systems (vehicle to everything) currently in the process of being finalized by the NHTSA, to improve road safety, protect humans and animals, and ultimately to allow service and emotional support animals to board and operate autonomous vehicles for their owners. It will also interface with the smartphones of postal workers, other government employees and elderly neighbors to inform them of potential risk. Finally, there is discussion of using approaches such as DNA matching to determine if owners are cleaning up after their pets, mimicking systems currently in use in Europe. 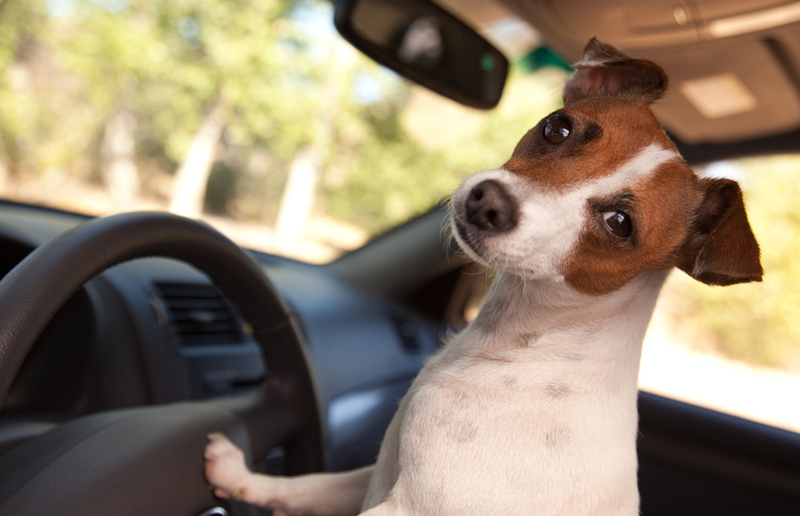 Pets coordinating with autonomous vehicles is one goal of the PETS system. Unfortunately, like any rapidly introduced infrastructure system, PETS has several bones of contention. The system is still immature, and there are urgent questions surrounding how data is gathered and the accuracy and fairness of that data. Why should the government decide whether your dog is, in fact, a good boy? While the flaws in the system are troubling, PETS will be happening, and it’s best to be prepared. This is why we’ve spent the last year building RePETation.com, with custom transponders that can withstand heavy chewing, handy Android and iOS apps, and detailed and responsive algorithms that sort doggos from puppers. Our new solution is also accompanied by a remediation team that can address attacks on your pet’s reputation, from one-star reviews on third-party sites to attempts to frame your cat for the crime of litterboxing your neighbor’s garden. As the old saying goes, poop is about to get real. Keep your pet out of the internet doghouse, with RePETation.com, and enjoy your April Fool’s Day.